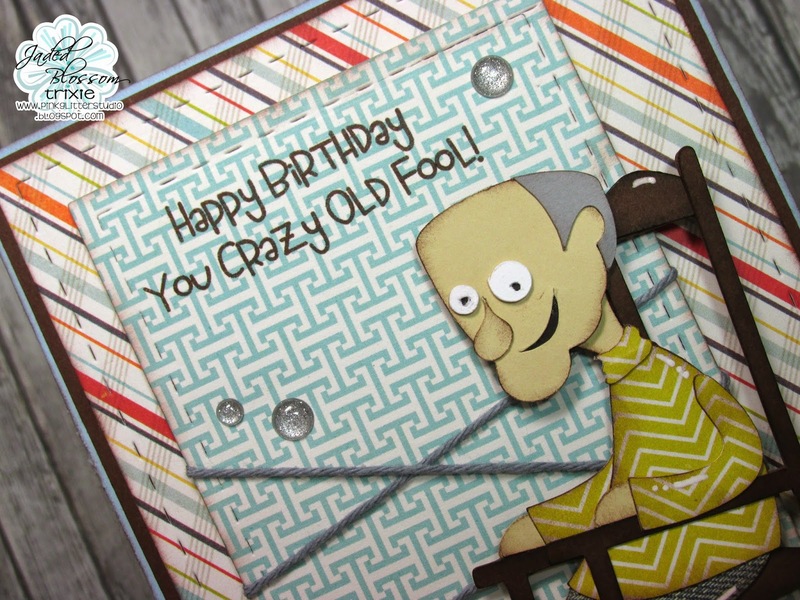 Jaded Blossom: Happy Birthday You Crazy Old Fool! 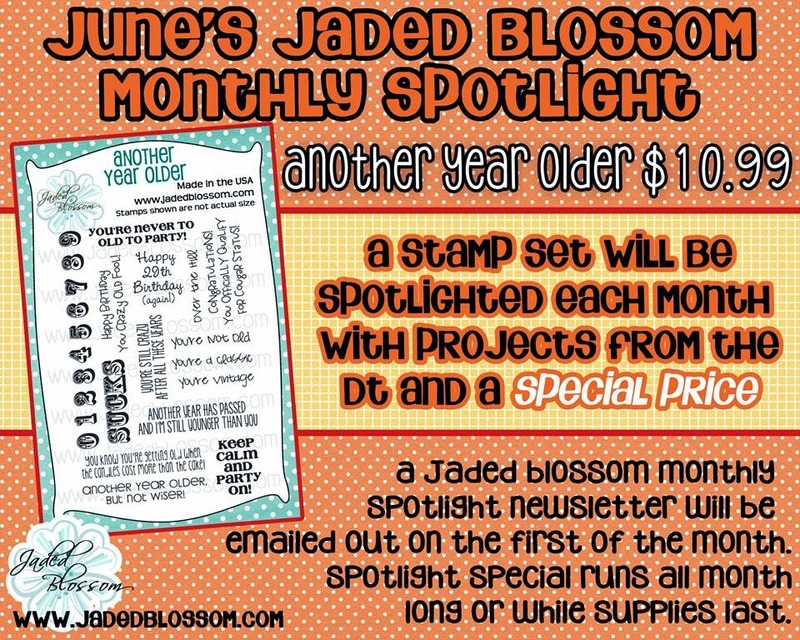 Today I used June's Monthly Spotlight Stamp Set - Another Year Older! I used Jaded Blossom's Card Mat Dies for the different layers on my card, seriously can't get enough of these dies!! So much you can do with them!!! Of course the sentiment is from Another Year Older!! This is such a fun set to have. And it goes perfectly with the Rocking Grandpa file from SVG Cutting Files. I also used some Solid Stone twine from The Twinery. I also added some Doodlebug Silver Assorted Sprinkles. You can find them in the HERE in the Jaded Blossom Store. Hehehe! Love that old guy in the chair! The Card Mat Dies ARE so versatile! Love the rocking chair! Fabulous card! I love this card! 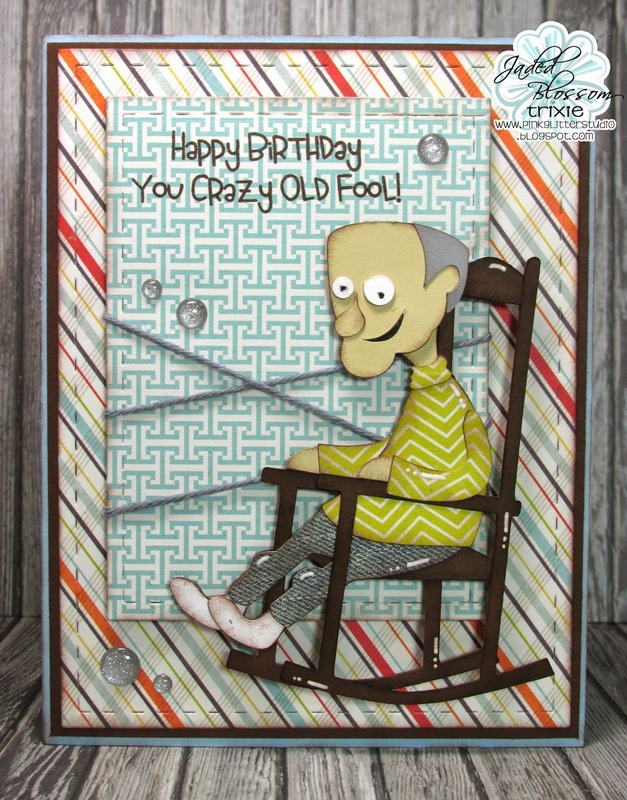 This rockin gramps is an awesome file! Love this card, total RIOT!